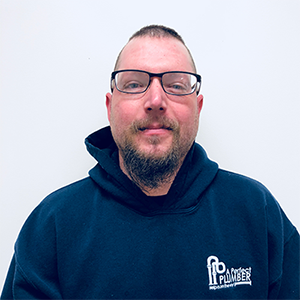 Jeremiah started his plumbing career 18 years ago because his dad, who is a general contractor, needed someone to do plumbing work. Jeremiah specializes in tankless water heaters and mainlines. He loves watching his customers relax knowing their plumbing problems are taken care of! After a day of hard work, Jeremiah enjoys spending time with his son and three daughters. Did You Know... Jeremiah’s mom taught him to always keep everything clean and neat, a rule he still lives by. His work van is the neatest in the fleet!